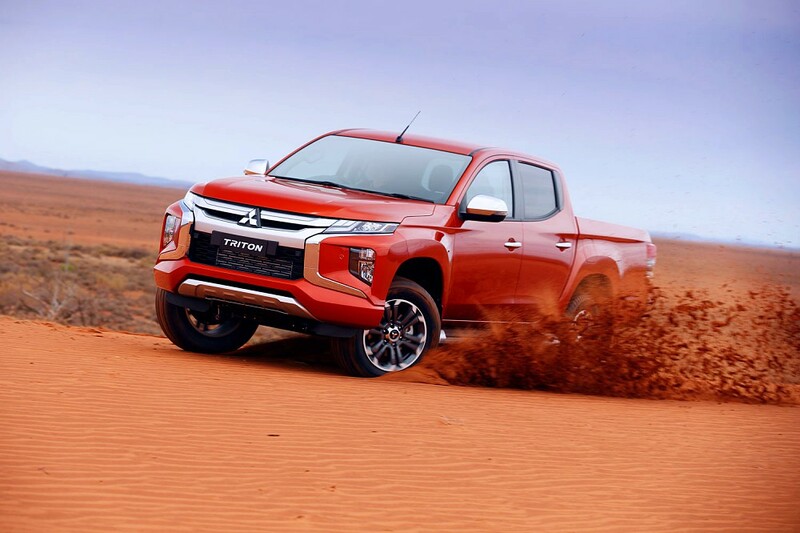 The Mitsubishi L200 has been updated for the 2019 model year, which consists of new body panels all-round, including a completely redesigned front end, new safety and comfort features, a new transmission and slight alterations to the chassis. 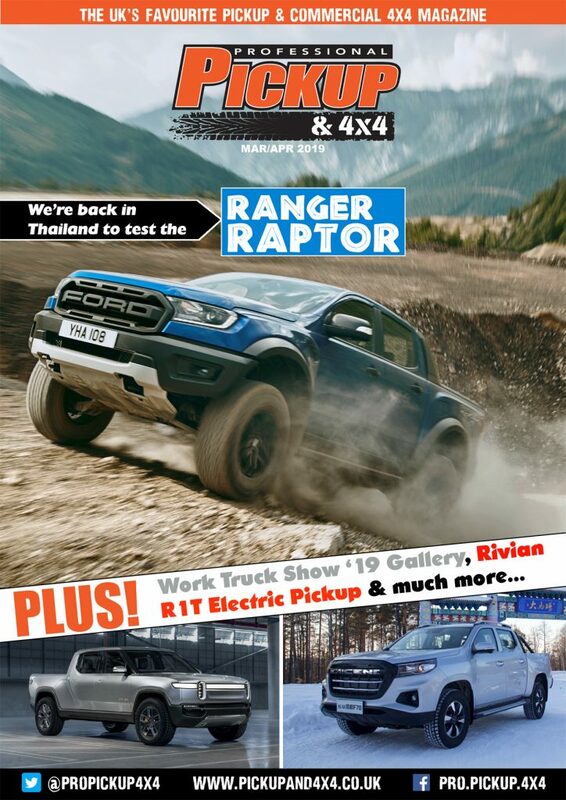 We were at the global premiere of the Mitsubishi L200 2019 in Thailand, where we got to put it through its paces. This is a facelift in every sense of the world, with the badge being ‘lifted’ 100mm compared with the previous mode and, love it or hate it, the new model certainly turns heads. 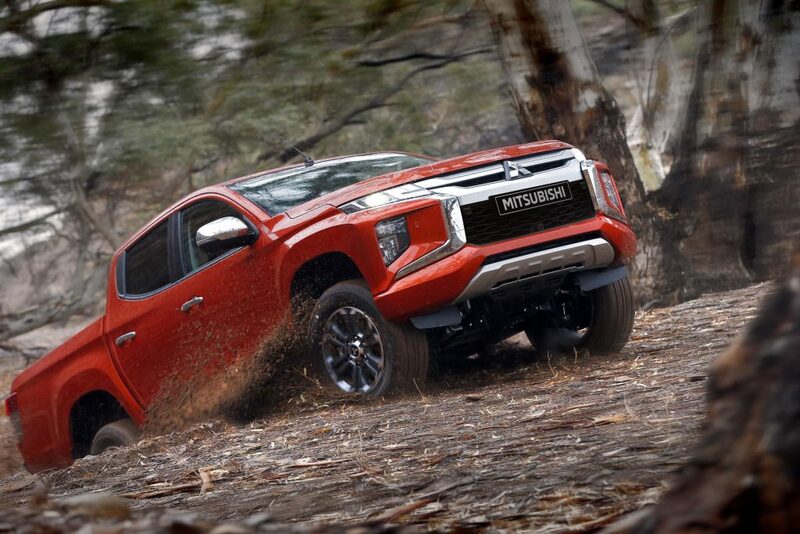 According to the lead designer, Mitsubishi has noticed that pickup truck customers around the world are wanting a more ‘tough’ and ‘masculine’ looking truck, and that the curved, ‘smiley face’ design of previous generation was quickly becoming out of date. Adopting the company’s ‘Dynamic Shield’ design (which it shares with the Eclipse and Shogun Sport), the aesthetic alterations to the radiator grille, headlights and bumper certainly give the L200 a broader and futuristic appearance, but we feel it fails to emulate the masculinity of the Ranger or facelifted Hilux. Moving to the sides, there are new lines sculpted into the panels and the wheelarches have been widened and made boxier. The rear lights have also been changed, and are available in LED on higher trims, to give a wider impression. On the inside, the alterations aren’t so extravagant with only the centre panel on the dashboard and the transmission being amended; everything else has been left virtually untouched. The centre panel around the multifunction display adds more chrome, while the shift panel has been refreshed with a boxier design and chrome effects. 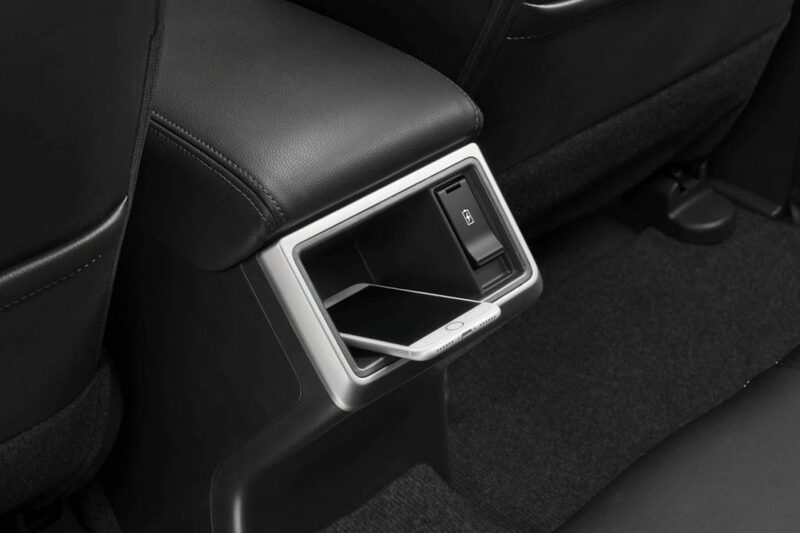 Designers have also added a premium feel soft pad trim to the floor console, arm rest, door trim and parking brake, while there are large smartphone trays in the centre and rear consoles. The elevated driving position provides excellent all-round visibility and, because it has the longest cab in its class, boasts excellent leg room in the front and rear. However, it’s also the narrowest cab on the market, and it can feel cramped for those of ‘wider’ proportions. 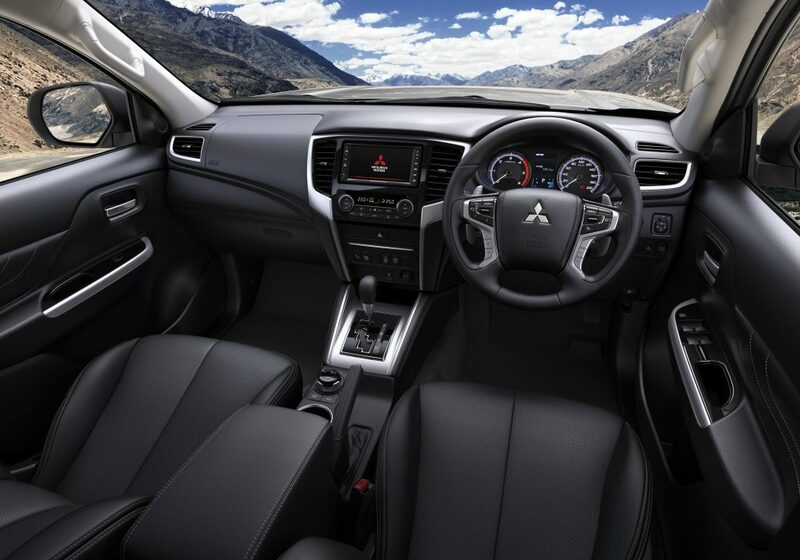 Mitsubishi has taken to 2019 update as an opportunity to introduce a number of new comfort and driver assist systems. Multi-around monitor, consisting or four cameras, provides the driver with an all-round view of their surroundings in car parks with the push of a button on the dashboard, which automatic high beam dips the full beam when it detects oncoming traffic. In the back, two USB charging points have been added and there’s a new rear air circulator which cools down rear occupants much more effectively than the current model. As with the pre-facelift model, Mitsubishi’s 2.4-litre 4N1 (2,442cc) engine provides the power although the Euro-6 D power ratings have yet to be confirmed (currently at 150hp/380Nm and 178hp/430Nm). The engine is refined and standard models are hooked to the same 6-speed manual transmissions, although a new 6-speed automatic transmission has replaced the notchy 5-speed, supplying smoother and more seamless gear shifts. 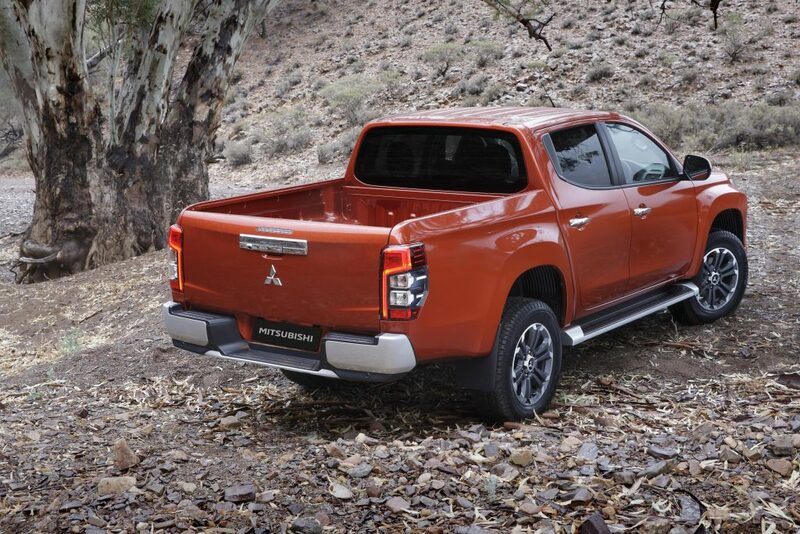 The L200 has long been criticised for the amount of body roll generated in the corners, due to its high centre of gravity and the narrowest track of any pickup. Despite Mitsubishi raising the centre-of-gravity even higher, we are happy to report that body roll has reduced on the new model thanks to alterations to the suspension. The larger rear dampers seem to contain bumps a lot better, with noticeably less ‘cab shudder’ from the rear axle when hitting potholes. 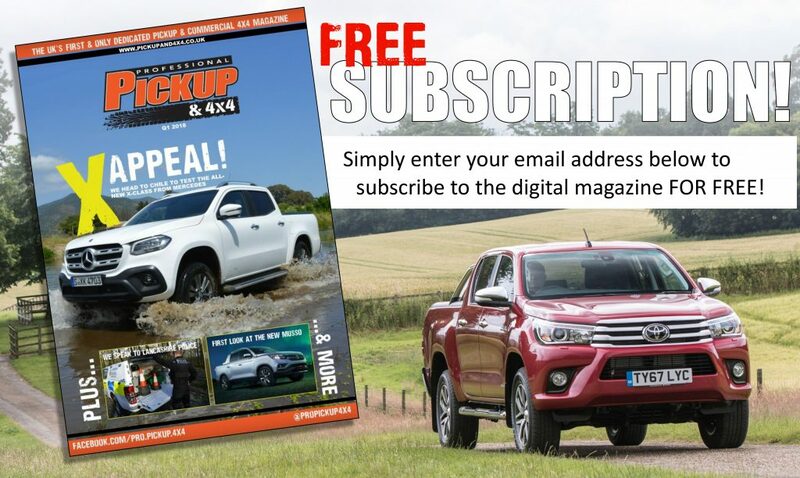 We already regard the L200 as the best off-roader in the pickup segment, thanks to its great manoeuvrability, light chassis but, most importantly, the shift-on-the-fly Super Select 4WD system with locking centre-differential which is the most responsive and adaptable of all the current pickup truck 4WD systems. However, Mitsubishi has raised the bar even further by introducing hill descent control (operable at 4speeds of up to 12mph) and the off-road mode switch with 5 settings. 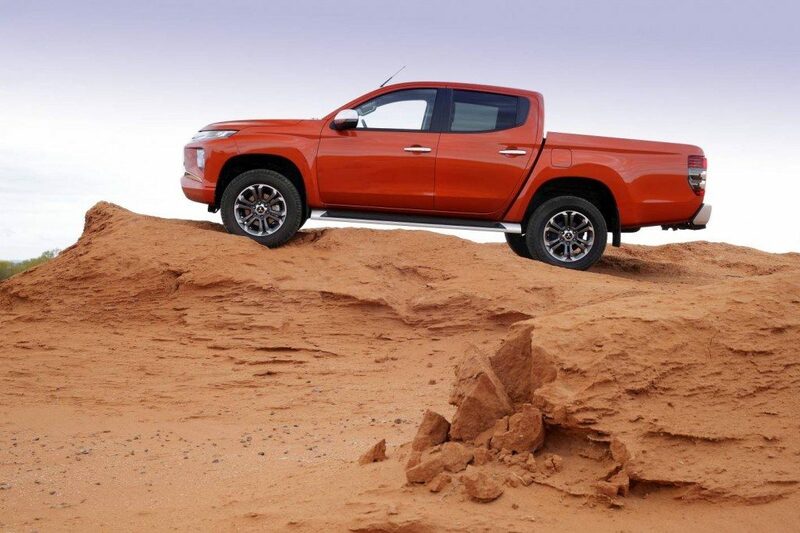 This system adapts the engine performance, electronic stability control and traction control for the optimum performance on four different off-road settings (gravel, mud and snow, sand and rock). The L200 already has a respectable 4-star NCAP rating, but it seems Mitsubishi has its eyes set on all five for the 2019 update. 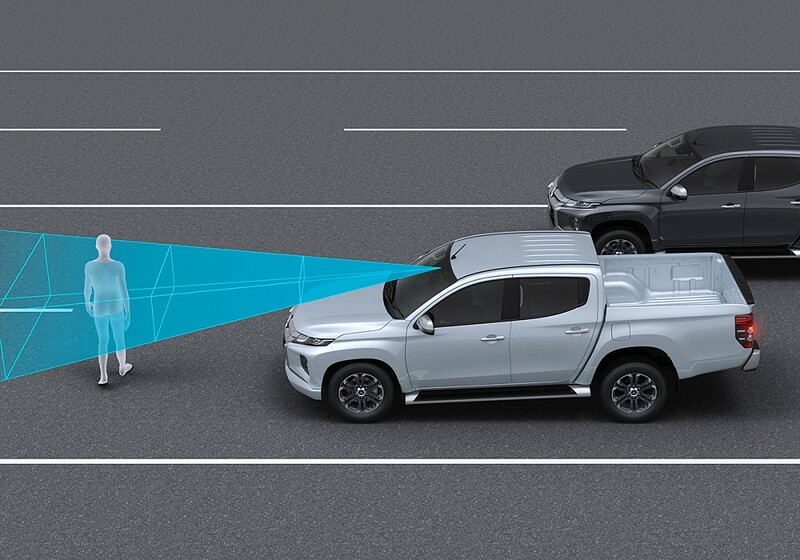 Mitsubishi has rolled out a number of new safety features, which are key in the prevention and detection of collisions. Forward Collision Mitigation (FCM) detects possible collisions with vehicles and pedestrians ahead, and gives the driver visual and audible warnings, while Blind Spot Warning (BSW) with Lane Change Assist (LCA) helps avoid sideswiping other vehicles when changing lanes on motorways by detecting vehicles behind or at the rear quarter and alerting the driver with a flashing light in their door mirror. Rear Cross Traffic Alert (RCTA) works in a similar way, but when reversing. However, it was the Ultrasonic Misacceleration Mitigation System (UMS) that really caught our attention. This device stops the acceleration when manoeuvring in tight spots if it detects a collision is about to occur, therefore reducing accidents resulting from improper use of the accelerator. The European specification models have yet to be finalised, but we do know that the L200 will retain it’s one tonne payload and the load area will be exactly the same size (1,520mm by 1,470mm). However, the bosses couldn’t confirm whether or not it will retain it’s 3.5t towing capacity as this was achieved through secondary testing and, for a while, the towing capacity may drop back down to 3.1 tonnes. 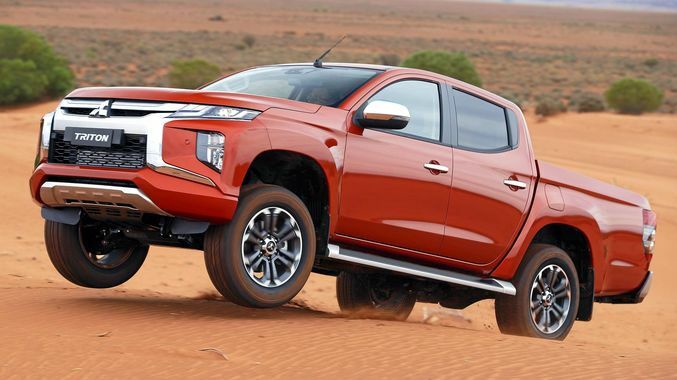 The major markets of south-east Asia, Australia and South America get the first dibs on the 2019 Mitsubishi L200, and it won’t be able for UK customers until the late summer. Prices are expected to only increase marginally from the current £19,505 to £31,810 plus VAT price range, and the warranty will remain the same at 5 years, or 62,500 miles. 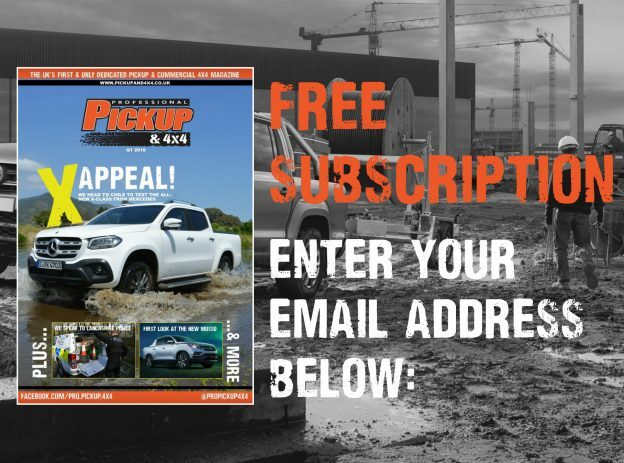 Also read: New Pickup Trucks 2018, 2019 and 2020. Keep up to date with all the latest news and reviews with our Twitter page.